We’d love your help. 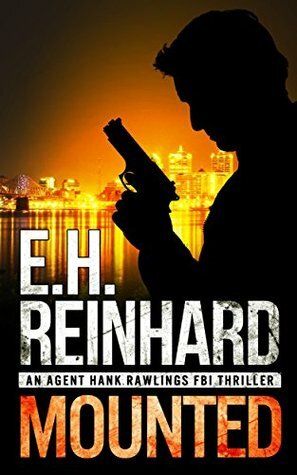 Let us know what’s wrong with this preview of Mounted by E.H. Reinhard. When a package containing macabre photos of four dead women is mailed to a Louisville newspaper, the Manassas FBI office is called upon. Agents Hank Rawlings and Beth Harper are immediately dispatched to the scene. The man responsible for the murders, along with horrific acts upon the remains, has referred to himself as The Sportsman. A letter included with the photos pledges more killings to come. In Louisville, Hank and Beth work diligently to track down every hint of a lead. However, with each new piece of evidence uncovered, the investigation only raises more questions—questions they simply don’t have answers to. For the killer, the dead women, as well as his tinkering with their remains, was merely preparation for a larger goal—something he’d promised someone years before. To ask other readers questions about Mounted, please sign up. I think I am a bit burned out of Agent Rawlings. It took me FOREVER to finish this one. I'm not sure why, it was paced just like the previous 4, we had the same characters with too much of Beth's ex husband. I may need to wait a bit before reading #6. I will read it to see how Hank and Karen do with growing their marriage. Excellent as always although by far the most disturbing read. Once again the author develops a plot that draws you in and makes you squirm. Enjoy the professional growth of Hank's character blossoming but still find his relationship with his wife asking for more. Similarly, Beth's personal life is not believable and her inability to deal with her ex leaves one shaking their head. Wow, this killer is seriously messed up. I know there are some really bad people out there, and I can honestly say, I'm super glad I don't know anyone who would do these types of things to others. This is another excellent addition to this authors collection. From the start this book extremely gross and very scary. It's not for everyone, be advised. Also for those in the work force, remember in search to get ahead do not step on anybody. Detailed murder mystery, very exciting. He's good but I would get rid of his partner before she gets him killed. She has too many personal problems. A good fast read, but, ... this contains some really gory crime scenes so if you have a weak stomach, you've been warned.